Banks and Financial institutions or Peer-2-Peer Lenders rely heavily on the credit score of borrowers to assess their intention and ability to repay the loan extended to them. Credit score is the fulcrum amongst multiple other factors which determines if a borrower is credit worthy or not. Even among the credit worthy borrowers, the cost of borrowing would be cheaper for any borrower with a high credit score versus that those with a relatively lower score. For starters, there are four credit rating agencies in India, namely, TransUnion CIBIL, CrifHighmark, Equifax and Experian. All the banks and financial insitutions are mandated to report to all four credit agencies about the loans they have extended to individuals and businesses and the performace of the loans during its tenure. Any delay in repaying the loan is reported to the credit agency and it negatively affects your score. Most agencies follow a numerical scoring method in the 300 (worst credit score) to 900 (best credit score). Financial insitutions will keep a minimum benchmark of credit score to consider any loan application. Inability to meet this threshold score can immediately make the bank or financial institution to rule out the loan application and send home a rejection letter. Hence, before applying for any loan, be it personal or home loan it is always advisable to get your credit score checked. Knowing that you have a good credit score reflects your ability and good intention to repay the loan, avail special offers and reduce your cost of interest on the loan in comparison to somebody with a relatively lower score. A credit score above 750 is usually regarded as a good score but each financial institution will define the "good" or "bad" credit score for itself. 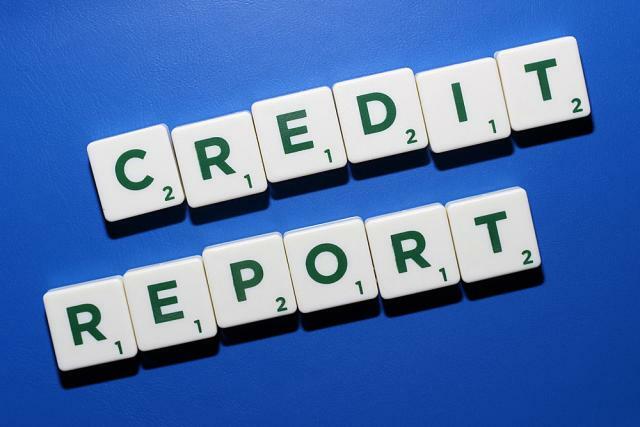 As a general industry practise, a credit score below 600 is unfavourabe and highlights multiple defaults in the past and an irresponsible behaviour towards credit usage and servicing. Credit card spends are also carefully monitored and examined by the credit reporting agencies, banks and financial institutions. it is important for a person to use the credit cards effectively and also repay the amount regularly. Paying the minimum balance amount due each month leads to excessive financial charges and unusually high rate of interest, this not only reduces the credit score but also leads to loss of money. Your credit card spends cannot be disproportionately high every month even if they are repaid. High credit card usage leads to increased probability of default if continued over a long period of time. Keeping a high usage and high balance every month may make lenders vary of your ability to service future EMIs of the loan. It helps to keep reminders to pay your EMIs on time and not default on their due date. An ECS default or cheque bounces levies a hefty charge on your bank account, and any default can immediately lead to a lowered credit score. Always ensure that you have adequate amount of money in your bank account to service the loan EMIs. Also, do not take a loan for a very short duration and make irregular repyments, rather take a longer duration debt which is serviced regularly on time. This goes a positive way in creating a good repayment record and establish your credibility in repaying the loan to avail future loans at a reduced rate of interest. Lenders also check the frequency of your loan applications and if it is on the higher side then it reflects a credit hungry behaviour. Chances are that the lender might ask a higher rate of interest, especially for personal loans or may reject the application altogether. You can always use the EMI calculator on IMM website to undertsand how each percentage point adds upto the net increase in your interest repayments. It is always good to have different kinds of loans serviced well during any time period to have a good credit score. Having only unsecured lines of credit leads or only a certain type of loan can affect the score negatively. This assumes greater importance if there are multiple defaults in the similar lines of credit in the past. For example, if an individual has just got 4 to 5 credit cards and one consumer loan on his/ her credit report and few credit cards are completely utilized and repayments are irregular in others whereas, the consumer loan has been serviced regularly then it shows a poor understanding of credit cards and an intention to not repay the dues on the credit card. This will lead to rejection of future loan applications. IndiaMoneyMart (IMM) is an online lending platform committed to assess its borrowers and help them arrive at an affordable interest rate on loans and enable the lenders (individuals and institutions) to secure good returns on their investment by offering loans at attractive rates to the borrowers. Note: This service s free per credit bureau for once an year.